The 9th Management Committee Meeting of the Hong Kong Branch of the Chinese National Engineering Research Centre (CNERC) specialising in Application Specific Integrated Circuit (ASIC) System – the first ever CNERC branch established outside the Mainland – took place last week. The meeting was chaired by Mr Sunny Lee – Chairman of the Management Committee, member of ASTRI’s Board of Directors, and Vice President (Administration) of the City University of Hong Kong. Taking place at the premises of Hong Kong Applied Science and Technology Research Institute (ASTRI), where the CNERC Branch is operated, the meeting covered the progress in R&D achievements, project funding, local and international collaborations, future directions, and the overarching strategic roadmap of ASTRI’s CNERC operations. Integrated Circuits (IC) hold key to innovation-led growth and development of a lot of high-tech industrial sectors. The IC design element of China’s overall IC industry has been growing at around 25% over the last four years – the trend is set to sustain and strengthen in the foreseeable future. According to IC Insights, two Mainland-based and one Taiwan-based enterprises featured in the world’s top 10 largest IC design companies in 2017. As China strives to significantly upgrade its industrial and manufacturing sectors – especially in telecommunication, smart city and electronics – the significance of reliable and robust IC research has become paramount. To that end, the Central Government has a clear vision to uplift technological capabilities and build a skilled talent-pool for the sector. Hong Kong SAR, with its strategic position as a globally-connected modern economy within China, could play a crucial role in that endeavour. Particularly in the context of global techno-economic dynamics, international developments like the Belt and Road initiative, and national-level plans such as the Greater Bay Area, Hong Kong can potentially harness a large pool of opportunities to excel and contribute. In the most recent years, leveraging the mandate of the CNERC Hong Kong Branch, ASTRI has developed a number of advanced and innovative solutions in various areas including Narrowband Internet of Things (NB-IoT), Bluetooth Low Energy (BLE), FinFET, design, Hall-sensor IC solutions, ultra-high-definition and 3D conversion video technologies, power electronics modules, high-density electronic packaging and Gallium Nitride (GaN)-based high density power modules. ASTRI’s R&D teams involved in the CNERC branch have also developed solutions based on Blockchain and artificial intelligence technologies. Collaborating closely with its corresponding main CNERC facility located at the Southeast University (SEU) in Nanjing, the Hong Kong Branch has already delivered 12 innovative joint projects over the past years, covering BLE and NB-IoT, designs, intelligent power modules, microelectronic neural bridge, various types and elements of RF systems, as well as CMOS on-chip switch for electronic power supply systems. Projects in the current pipeline and future plans include advanced aspects of NB-IoT, BLE and other wireless systems, algorithm, RF module IPs, and 3rd generation semiconductors as well as power electronics packaging. Thriving on industry collaborations, the Branch has worked with leading industry players based in the Mainland, Hong Kong and overseas markets. 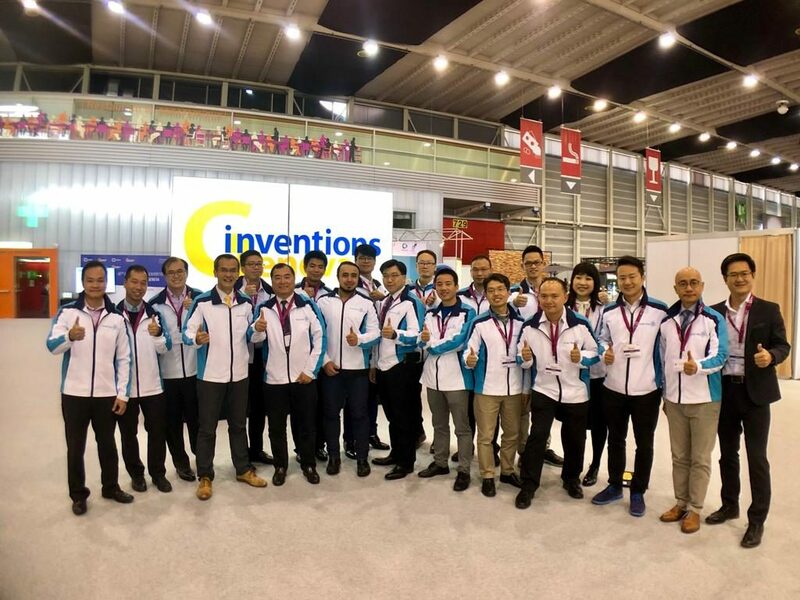 These partnerships include (Mainland-based) Guangdong Rising Investment Group, CETC and Changhong; (Hong Kong-based), Marvel Digital, AppoTech, Robotics Robotics and Supergold; (international) Infineon, CEVA and INL. Introducing the R&D direction of CNERC, Professor Shi Longxing – Director of CNERC for ASIC Systems and Professor Lu Shengli – Deputy Director of CNERC for ASIC Systems discussed ‘Wide-voltage near-threshold very low-power IC design technology’, ‘Software and hardware dual programming SoC design technology’ and ‘Intelligent power integration technology’. Professor Shi said that CENRC will strengthen its basic research. 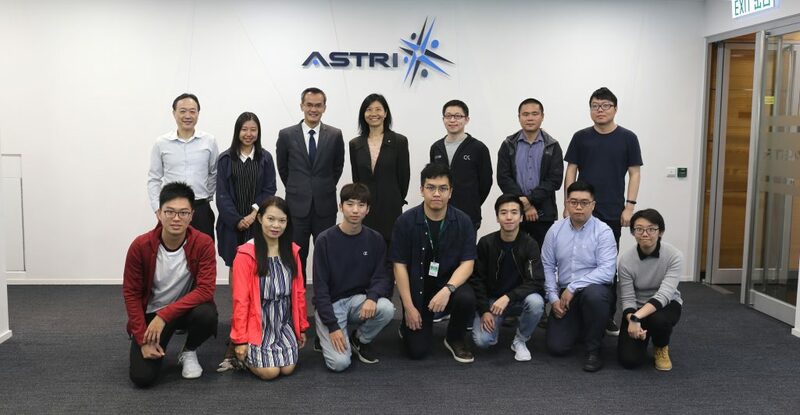 As a market and entreprise-oriented R&D centre, the Hong Kong Branch operated by ASTRI can “meet market needs, while ramping up collaboration with the Southeast University and other higher education institutions”. He also suggested that “ASTRI could consider establishing an R&D facility in Nanjing, which can focus on areas like third generation semiconductors, artificial intelligence and Blockchain”. Mr Hugh Chow, ASTRI’s Chief Executive Officer, referred to the three main aspects of IC industry – manufacturing, design and packaging – and commented that “ASTRI will seek to contribute more in the areas of IC design and packaging.” He added that, “If Hong Kong can complement its strong financial and professional services sectors as well as world-class academic institutions with world-class innovation capabilities, there is a world of potential to unleash for the city”. 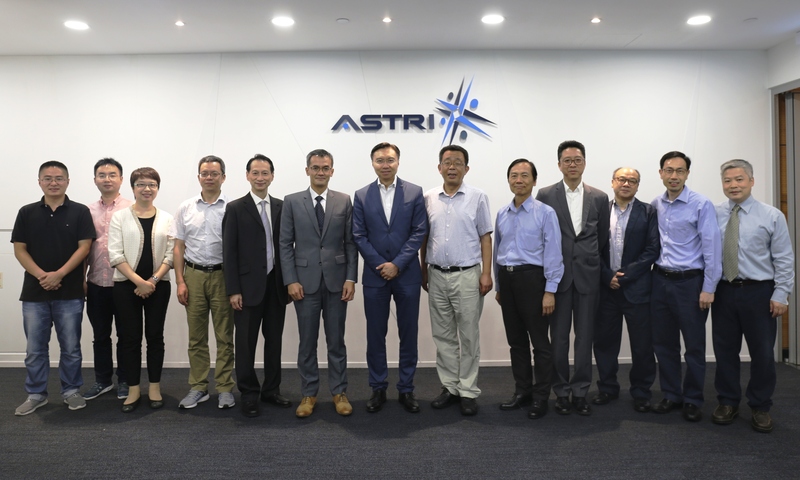 Through the CNERC Branch, “ASTRI will continue to stay in touch with the market, working closely with local and overseas enterprises to groom talents, develop market-relevant technological tools, and pursue solutions that benefit IC-reliant industries”. Dr Davy Lo, the Branch’s Management Committee member and Member of ASTRI’s Board of Directors said, “the main centre in Nanjing and the Hong Kong Branch must make the most of each other’s strengths and unique advantages – focusing on not only R&D, but also on various innovative applications of IC.” He added that “Long-term collaboration opportunities in the semiconductor industry, across the larger ecosystem, will be key to the Branch’s future success”. ASTRI continues to leverage the seamless collaboration between the CNERC main facility and the Hong Kong Branch focusing on ASIC R&D. Through effective exchange of talents, technologies, insights and business development potential, the Branch seeks to contribute to strong growth in the national IC sector and play a role in Hong Kong’s ambitious I&T development endeavours. In the recent past, the Branch – along with other national-level R&D centres operating in Hong Kong – have received a major boost from the Central as well as Hong Kong SAR Governments. While the HKSAR Government is investing heavily in R&D talents, infrastructure and cross-border collaborations, the Central Government has made it significantly easier for Hong Kong-based researchers and R&D centres to access national-level resources including R&D funding. These measures represent the Central Government’s strong commitment to supporting Hong Kong in its mission to become a global innovation hub. 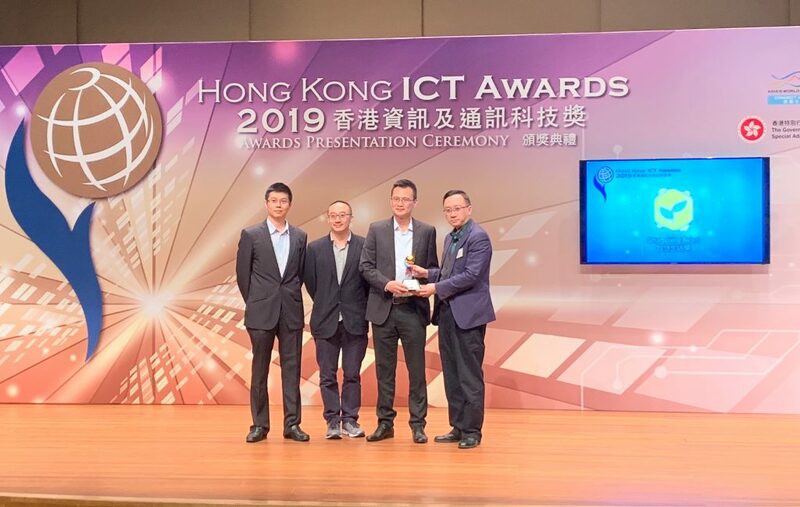 The policy initiatives will bolster Innovation and Technology (I&T) collaboration between Hong Kong and the Mainland, and the important role Hong Kong plays in overall national development, particularly in sectors powered by technological innovation. 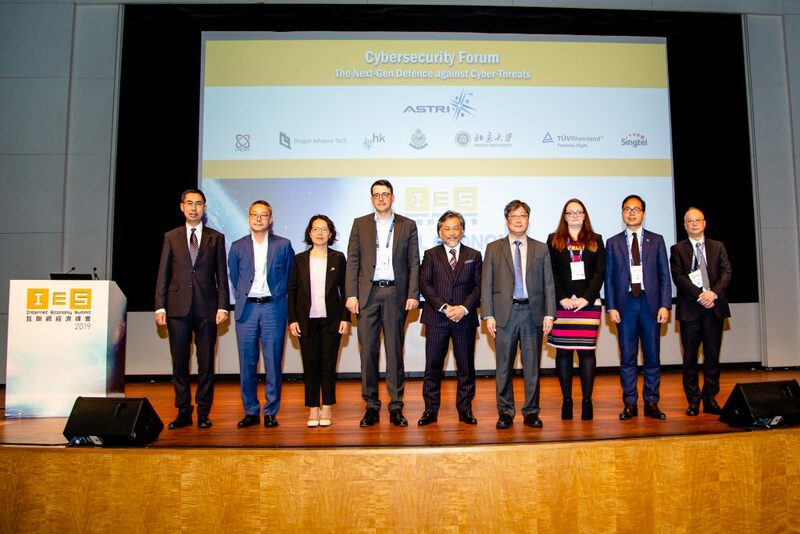 In the picture from left to right: Ms Jane Lee (3rd) – Secretary-General (Testing and Certification) of the Innovation and Technology Commission of the HKSAR Government, Professor Lu Shengli (4th) – Deputy Director of CNERC for ASIC Systems, Dr Davy Lo (5th) – Board Director of ASTRI, Mr Hugh Chow (6th) – CEO of ASTRI, Mr Sunny Lee (7th) – Chairman of the Management Committee and Board Director of ASTRI, Professor Shi Longxing (8th) – Director of CNERC for ASIC Systems, Dr Archie Yeh (9th) – Board Director of ASTRI, Dr MeiKei Ieong (10th) – Chief Technology Officer of ASTRI, Mr Li Yiu-kei (11th) – Senior Director, Advanced Digital Systems of ASTRI, Mr Bill Zhang (12th) – Senior Director, Mixed Signal Systems IC of ASTRI, and Dr Daniel Shi (13th) – Senior Director, Electronics Components of ASTRI.